Help your clients turn heads when they venture out each morning or get glammed up for a night on the town. These lash and brow grooming items will bring out the best in their eyes. 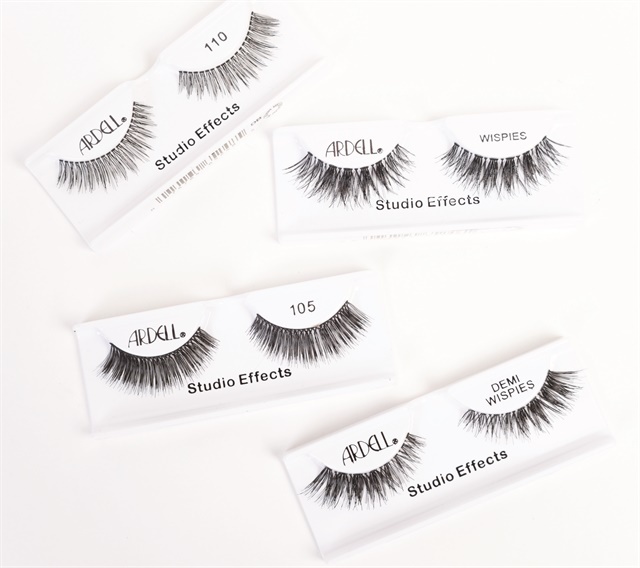 Ardell’s brand new Studio Effects lash collection features four of its most coveted styles that add density and accentuate, enhance, and balance the eyes: the Wispies, Demi Wispies, 110, and 105. The Wispie lash will make eyes appear more vibrant and open, while the Demi Wispie gives lift to the outer corner of the eye. The double-stacked 110 and 105 lashes will make eyes appear larger. 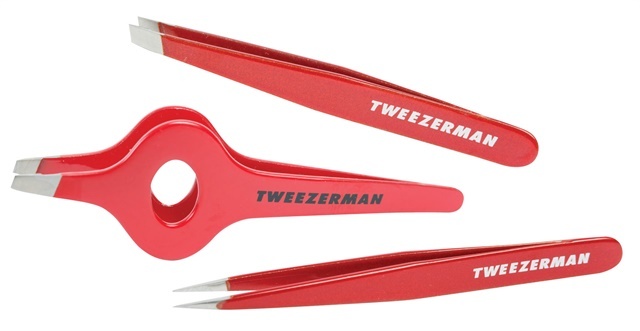 Tweezerman’s Candy Apple Red Petite Tweeze Set features stainless-steel slant and point tweezers with hand-finished tips for precise brow shaping. This sweet set is perfect for ingrown hairs and short stray brow hairs. The company’s Wide Grip Slant Tweezer features well-calibrated tension and perfectly aligned, hand-filed tips. The slant-tip tweezer has an ergonomically designed wide body that allows for easier handling and better control. BeeUtifullyOrganic’s Eyebrow Growth Balm helps improve the growth and thickness of brow hairs, while allowing you to shape your brows at the same time. This handmade balm contains essential oils, beeswax, shea butter, coconut oil, castor oil, and jojoba oil. 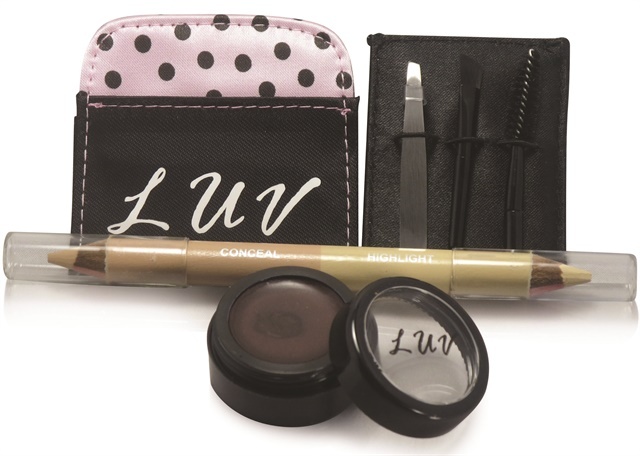 Luv Mineral Cosmetics’ Brow Luv Kit has everything you need to keep your brows well groomed and arched when you’re on the go. It includes tweezers, several brushes, brow cream-to-powder makeup, a concealer/highlight pencil, and a mirrored holder. Grande Naturals’ GrandeHeat Eyelash Curler literally brings the heat. This eyelash curler warms up to provide a more precise way to curl and lift lashes. The heated comb tool will separate the lashes as it curls. GrandePrimer Lash Boosting Pre-Mascara Lengthen & Thickener is infused with fibers to improve the appearance of natural lashes. 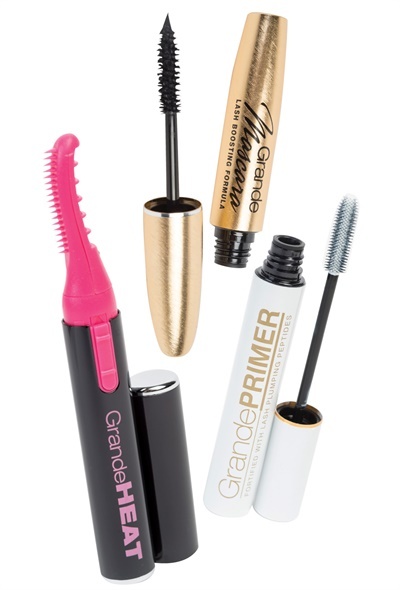 Afterwards, apply nourishing GrandeMascara to add volume and length. Artichoke Baby’s Organic Eyelash Growth Serum is a completely natural way to achieve thick, dark lashes. The serum contains organic ingredients, including castor oil and lavender-infused coconut oil, which promote hair growth. This growth serum is handmade and GMO-free.